Thank you for your Ocrafolk Festival Sponsorship! 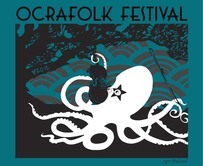 Now that you have helped support the Ocrafolk Festival, fill out this form so that you receive the correct rewards! If you have any trouble with this page, please notify David Tweedie at info@ocracokealive.org or 252-921-0260. Thanks! We will contact you later about your preferences for T-shirt sizes, tickets, ad files, and more. Thank you! I donated online via Paypal/CC. I am mailing my donation in. Yes! I'm going to fill out the information below! Nope, I just wanted to support the Ocrafolk Festival without getting any rewards. I'm coming to the festival and will pick up my rewards. I'm not attending the festival and would like my rewards mailed to me.